Dr. Nancy McGrievy completed her undergraduate education at Santa Clara University and received her Doctorate of Medicine (M.D.) from the University of California, Davis School of Medicine. She spent four years as a resident at Akron General Medical Center. During her residency training she received the Outstanding Resident Teaching Award. She is a board-certified in OB/GYN and is a member of the American College of Obstetrics and Gynecology. 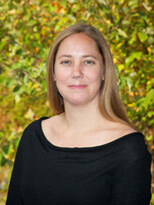 Dr. McGrievy joined OBGYN Associates in 2010. She is a member of the teaching faculty at Akron General Medical Center and Akron City Hospital. Dr. McGrievy has a special interest in alternatives to hysterectomy and minimally invasive surgery. Dr. McGrievy is married to Michael McGrievy, a teacher at Old Trail School. They have two children. Outside the office , she enjoys running, hiking, cooking, reading, and spending time with her family.